How do we merge the ancient wisdom of Buddhism with the transformative power of modern technology? Can the monks and geeks of the world combine forces to create new tools to help end suffering and awaken humanity? 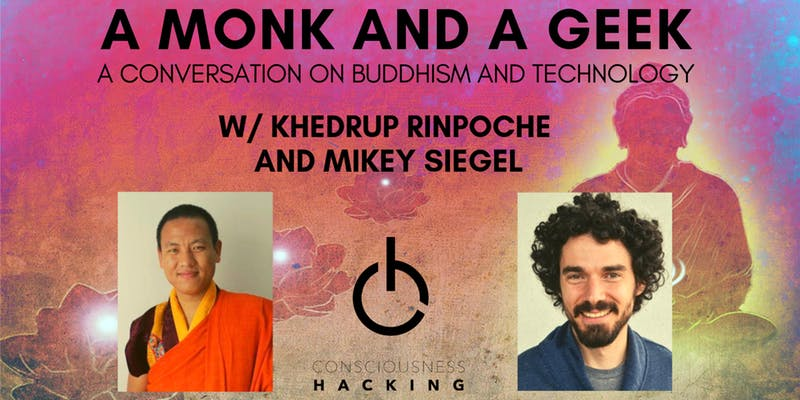 Join us on Monday, December 17th for a very special Consciousness Hacking event with Tibetan lama Khedrup Rinpoche in conversation with CoHack founder Mikey Siegel as they attempt to tackle these profound and timely questions. Khedrup Rinpoche is the fifth reincarnation of Khedrupchen Jigme Kundrol Namgyel. From his monastery in Bhutan, he travels extensively with the intention of spreading Buddhism across the globe. His Eminence had received teachings and empowerments from various Buddhist masters such as HH Dodrupchen Rinpoche and HH 14th Dalai Lama. This is his first trip to the United States, and at 28 years old he will be laying the foundation for relationships that will last for many years. 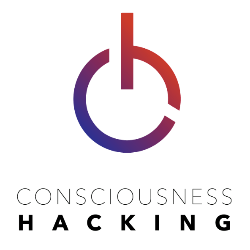 Do you love Consciousness Hacking? BECOME A MEMBER! Membership gives them the ongoing support they need to keep Consciousness Hacking going strong! Plus, members get free admission to one CH event per month! Membership is just $10 per month, and If you buy a year of membership upfront, they'll give you two months (that's two events) for free! Current members: Please register using the discount code emailed to you! Want to volunteer at this event? Email Josh at meadow@cohack.life for more info. Photographs and video containing your image may be published by Consciousness Hacking without explicit permission.